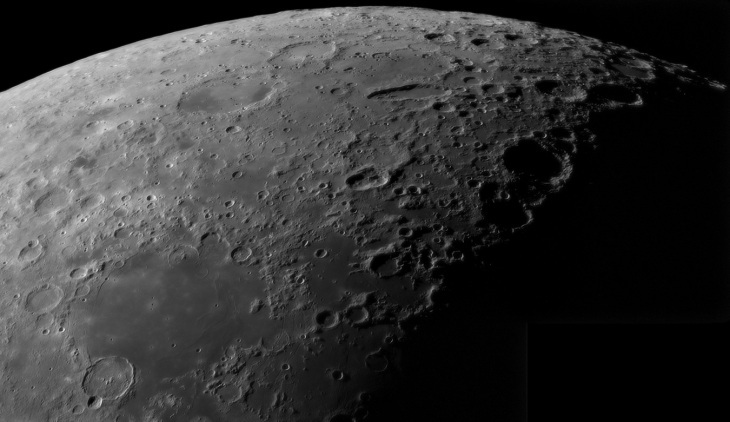 In this tutorial I will describe the way I process my lunar and solar images recorded with a webcam (I my case a DMK21-618) into larger mosaics. In my experience this way of processing results in the highest sharpness, and I will describe the steps to do this. Before going into the processing it’s important to realise that all images start with the recording.If the input is not good the result will never be good also. Try to obtain the highest sharpness already when recording the movies and don’t expect the best results under bad seeing conditions. Set the proper recording settings (exposure) and do NOT change them anymore during recording of the mosaic. All images must have the same exposure. So make sure you set the exposure on the brightest part of your future mosaic. Having said this we are ready to start with processing.